Tens of thousands of Texans are on the hook for payroll taxes they shouldn’t have to pay. The KVUE Defenders found many employers misclassify their workers as an "independent contractor" instead of "employees." Loose oversight allows many to get away. Those who are considered “employees” have their payroll taxes deducted by their employers and receive a W2 form each year showing taxes withheld. Employers pick up part of the tax burden. People who are independent contractors pay their own taxes and receive a "Form 1099" for their work. But if you’re misclassified, not only could you be paying more in taxes, you could also miss out on other benefits such as unemployment, should you lose the job. 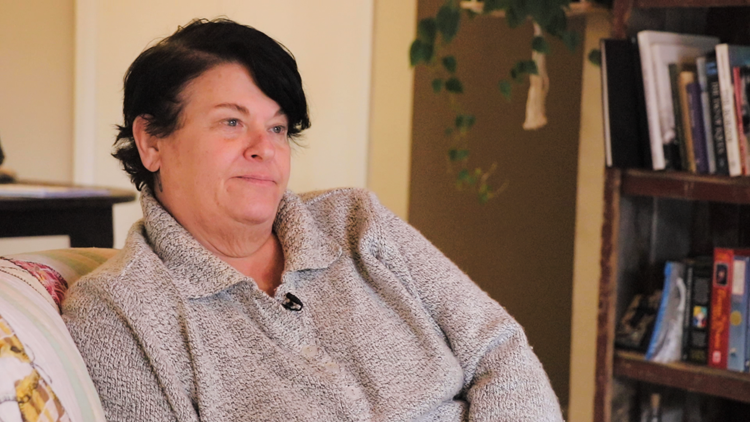 “It’s really expensive to survive here, and so you hold on to anything that’s providing income,” said Miriam Rieck, a licensed massage therapist. Rieck held onto a job last year that didn’t pay her final paycheck. The business, Massage Harmony off Bee Caves Road, is bankrupt. Its doors are now closed. Rieck reached out to the KVUE defenders after she saw our investigation into how the state handles unpaid wage claims with little power to collect. KVUE showed how the Texas Workforce Commission (TWC) ordered companies to pay almost $55 million in unpaid wages since 2013, but workers only got about $28 million. But because Rieck’s employer classified her as an independent contractor, Texas may not fight for Rieck at all. Rieck said she didn’t have control of her work. “We never really had that freedom of a contractor-type status,” she said. The KVUE Defenders obtained the 20-point test used by the Texas Workforce Commission to determine if a worker is due employee rights. We went through it with Rieck. Proffer: A true independent contractor is the master of their own time. Rieck: Employee. If we had no clients, we had to be within 10 minutes of a return. Proffer: An independent contractor is only paid by the job. Did you ever submit a bid? Proffer: If you wanted to take a vacation? Rieck: If we wanted to take vacation, we had to file a notice or send a letter to the management. Then, we had to send an email out to other therapists asking them to fill our position. Proffer: You were paid in regular stated intervals? Rieck said she had to sign up for the same shifts each week. The Texas Workforce Commission can investigate whether Rieck was misclassified. The state has its own incentive for employees to be identified properly. The TWC conducts audits, including random and stratified audits, based on the industry’s history of audits. Records obtained by the KVUE Defenders show the TWC identified 51,517 misclassified workers last year alone. The companies owed Texas more than $10 million in unpaid Taxes. The TWC holds training for business owners to know the difference between an independent contractor and an employee. But the Department of Labor and the IRS have their own problems investigating. The TWC will file liens on any company that owes money, but like unpaid wages, they don’t always collect. “It is something that is increasingly being exploited by certain employers to improve their bottom line,” said Stephanie Gaharakhanian, director of research and policy for the Workers Defense Project. The Workers Defense Project, in collaboration with the University of Texas, studied misclassified workers in the construction industry. i S Dangerous, Low-Wage Jobs While construction workers make vital contributions to the Texas economy, they have not been rewarded for their hard work. Construction work in Texas is dangerous, and workers labor long hours for low pay. They frequently face violations of their rights as employees, and inadequate enforcement mechanisms leave many workers with no recourse when they encounter workplace abuses. Their analysis, in the construction industry alone, showed the Texas Unemployment Insurance Fund was missing $54.5 million. Gaharakhanian said misclassification impacts reputable businesses. And now, the problem may get worse. Gaharakhanian says a new rule created by the TWC could lead to more misclassifications. The TWC will allow digital companies to bypass that 20-point test used for businesses now. “Your rights on the job shouldn’t be conditioned on how you find work, it should be conditioned on this baseline question of what degree of control do you have,” said Gaharakhanian. TWC’s proposed rules relating to Digital Marketplace Platforms set out to create guidance for businesses that employ contractors using a business model similar to, but distinct from that used by ride sharing concerns such as Uber and Lyft (those models are governed by the Texas Occupations Code). TWC remains committed to conducting case-by-case status determinations based on the totality of individual circumstances. Our agency has seen questions arising relating to the digital employment marketplace employment model. (Sometimes referred to as the gig economy) We want to ensure that current rules regarding employment status determination sufficiently address this newer employment model. TWC’s goal in proposing these rules is to provide all potential affected parties with information so that they may understand the nature of the relationship relating to digital marketplace platforms. So, earlier last year, Agency staff were requested to take a close look at this digital marketplace employment model and determine methods to clarify the current rule around this as it relates to Unemployment Insurance coverage. The proposed rules were presented in Dec. for consideration and through a vote by TWC Commissioners of 2 to 1, the proposed rules were moved forward to publish for public comment. As required by Federal law, TWC submitted the proposed rules to the United States Department of Labor (DOL) for an opinion regarding whether the rules conform to Federal law. DOL confirmed that no conformity issues exist. It is part of our normal process to enact rules that can help clarify situations involving unemployment benefits and respond to the needs of the marketplace for both business owners and contractors. TWC is reviewing all public comments received during the Public Comment Period. TWC staff will consider the content and may offer revisions to the draft rules based on that input for the Commissioners’ consideration. After briefing the Commissioners and their staff, the next step in the process would be for the final rules to come up for discussion and potential action by the Commission at a scheduled open meeting where additional public comment can be made. This is a deliberative process and may take up to 12 weeks for the staff and Commissioners to fully evaluate all the public comment. Gharakhanian said more companies could adopt the digital business model, impacting people who are considered employees now. “We think it will only further incentivize misclassification,” said Gharakhanian. “Bills enacting the Texas Workforce Commission’s proposed rules have passed in several states (Arizona, Florida, Indiana, Iowa, Kentucky, Tennessee, and Utah), and failed in others (Alabama, California, Colorado, North Carolina and Georgia). But in all of these cases, the appropriate government body—the state legislature--deliberated over the issue – something that has not taken place in Texas,” said the Austin Labor Council. Rieck filed a claim with the IRS, hoping to avoid paying extra in federal payroll taxes. “It isn’t that I don’t necessarily have the money to pay for that, but I don’t feel like that was my responsibility,” said Rieck.